I love ketchup. I was one of those kids who put it on everything. Fortunately, I don’t eat this way anymore but I still enjoy some ketchup with burgers or on home fries. 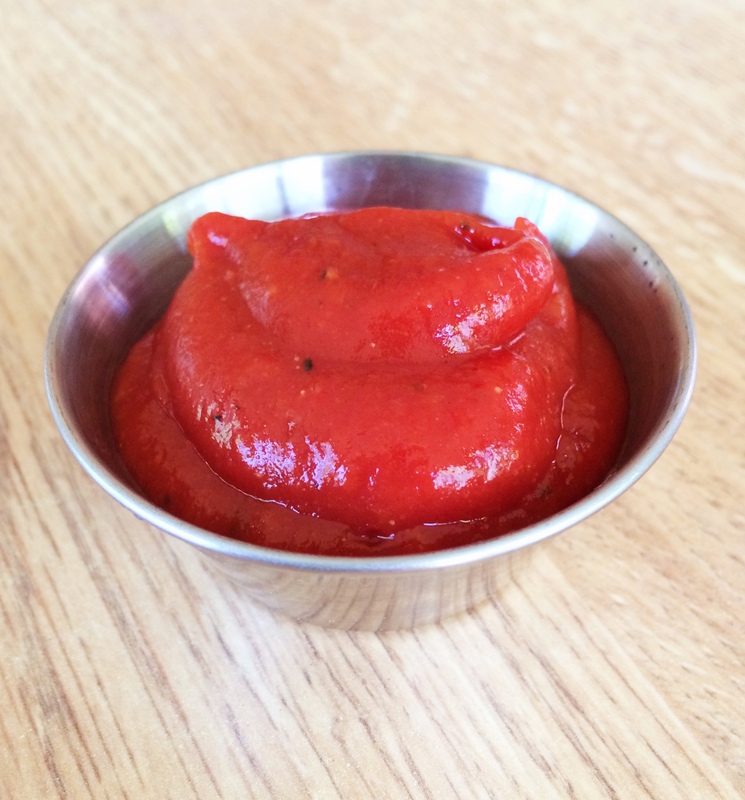 Most commercial ketchups are filled with high fructose corn syrup and preservatives. Making homemade is always a good option if you want to know everything that is in your food. I enjoy the complexity of the flavors of this ketchup a lot. It has a subtle sweetness and has a good mixture of spices in it’s but not too sweet either. Start by soaking the date in some hot water. When it is a bit softened drain off the excess water. Add the date to a stick blender cup or a blender. Add the remaining ingredients to the blender and blend for 30 seconds until the ingredients are well combined and make a smooth paste. Store in an airtight container or jar in the fridge.